Mai Norris has an eclectic background. 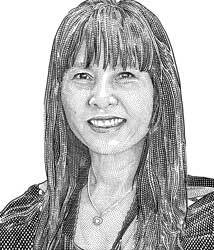 Born in Thailand, she ran a successful fitness business before embarking on a world adventure. Now settled in the U.S., she provides hospitality to Townsend Team and its clients as the industry’s first Hospitality Strategist. Her cooking and presentation style is second to none. When you work with us, she serves as an important part of your team. © 2019 Townsend Team. All rights reserved.